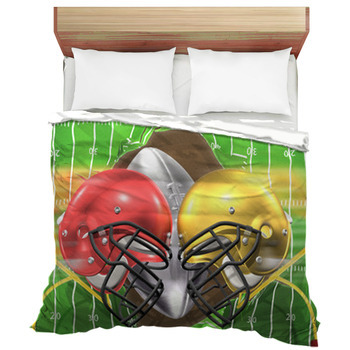 Finding football themed bedding is not hard, but finding unique and custom football bedding is, at least until now! 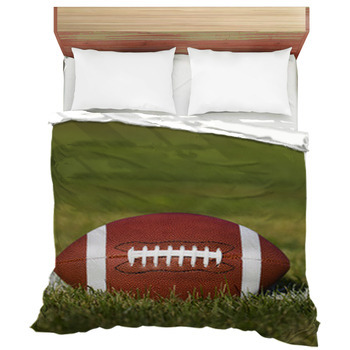 We offer a variety of unique designs for football bedding. 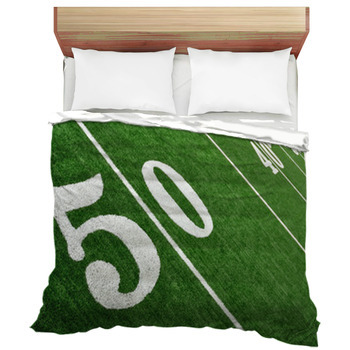 You have likely seen the NFL logo bedding which can be found anywhere, but Vision Bedding offers something different. 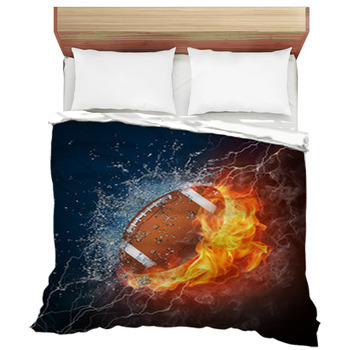 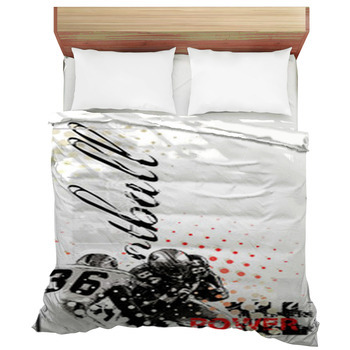 Our nearly 500 football bedding sets come in all styles from artistic renderings of football players to stadiums and fiery footballs. 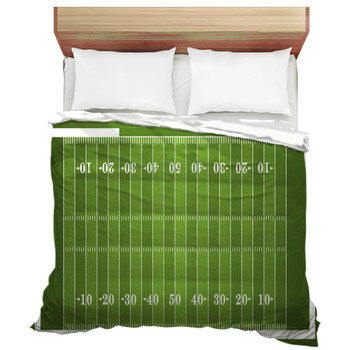 If you are looking for that unique football comforter - you have finally found it! 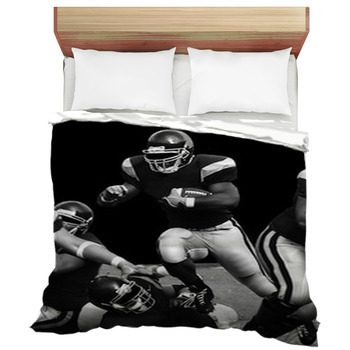 For the future Hall of Famer, the football star in training, or the Sunday afternoon gridiron devotee, Vision Bedding's photographic football comforters are a great addition to your bedroom decor. 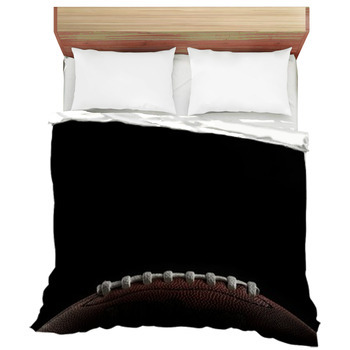 Serious football fans eat, sleep and breath the game, so why not let them soak up the spirit of the sport even more? 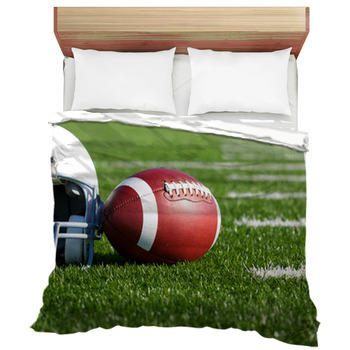 Choosing football themed bedding set can be a great encouragement for the little football star in training who may experience their fair share of frustrating moments on the field. 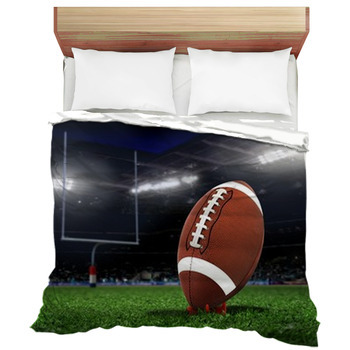 Curling up at night in football-themed comforters can provide positive encouragement for the young athlete, especially when part of the bedtime routine includes pep talks from mom and dad. 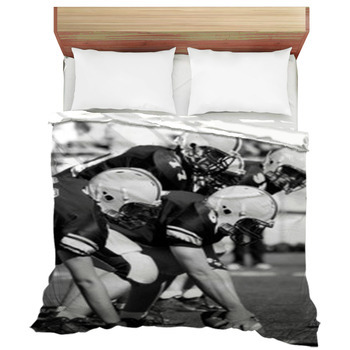 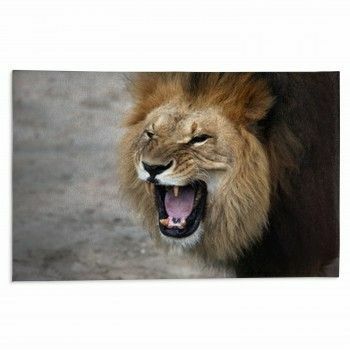 Our other football themed products such as rugs and wall art also make a great compliment to your football bedding.